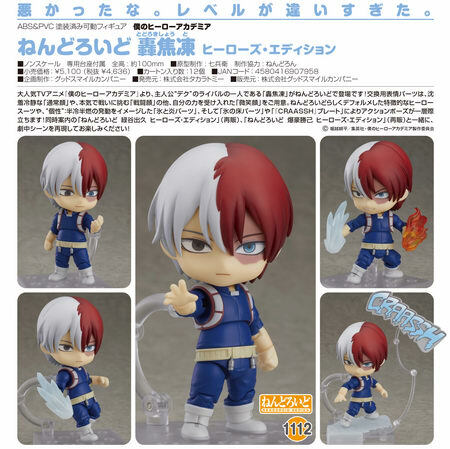 Good Smile Company is going to release the Nendoroid No.1112 Todoroki Shoto ( 轟焦凍 ) Hero’s Edition ( ヒーローズ・エディション ) action figure from the mangal/anime “My Hero Academia” ( 僕のヒーローアカデミア ). Will be released in October 2019. Around 100mm tall, 4,636 yen. "It’s not your fault. We’re just playing on different levels." 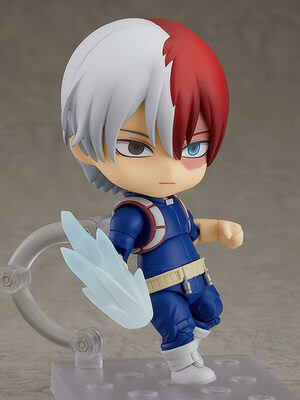 From the popular anime series "My Hero Academia" comes a Nendoroid action figure of one of the main character Deku’s rivals, Shoto Todoroki! 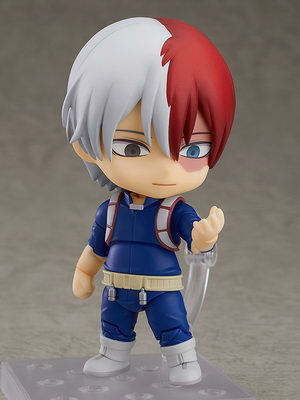 He comes with three interchangeable face plates including his calm and composed standard expression, his combat expression for when he’s fighting with all he’s got and his smiling expression from when he began to accept the left side of his Quirk. 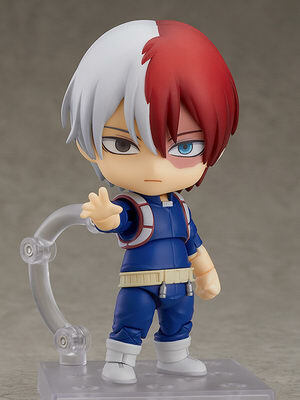 His hero costume has been faithfully recreated in Nendoroid size. 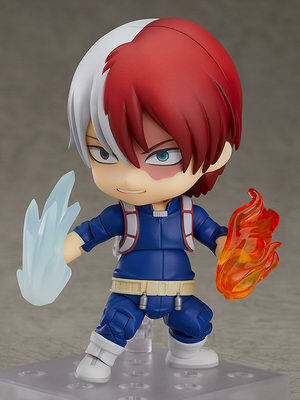 He comes with fire and ice effect parts along with ice floor effect parts to recreate his ‘Half-Cold Half-Hot’ Quirk. A "CRAASH" text plate is also included to create action-filled poses! 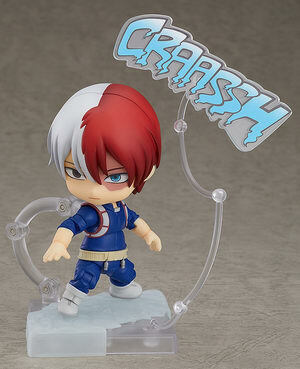 Be sure to add him to your collection along with Nendoroid Izuku Midoriya: Hero’s Edition (Rerelease) and Nendoroid Katsuki Bakugo: Hero’s Edition (Rerelease) also available for preroder, and enjoy recreating your favorite scenes from "My Hero Academia"!